N.O.A.H. 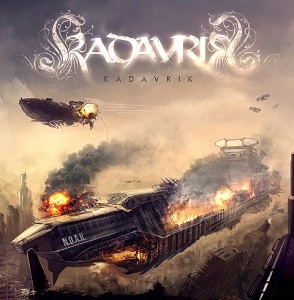 is the third album from German metallers Kadavrik. Over the last nine years they've been playing some good melodic death metal, doing well in Germany but not making much impact internationally. I'm not sure why they haven't made an impact, because based on the music they certainly deserve to be much better known. Death metal riffs with some good heavy melodies put them at the heavier end of the melodic death metal spectrum, without losing the all important melodic element. There are some great tracks on the album - "Let my blood boil tonight" being a particularly good one. The album is unusual in having a mix of German and English songs, but the inability to understand the lyrics on the German language songs didnt detract from the enjoyment of the songs. A very good album for fans of melodic death metal. If you havent listened to Kadavrik before, then its about time you gave them a listen.